We do not often talk tax policy in our newsletter, but several recent federal government proposals have made the issue quite pertinent for religious nonprofits. From our research and teaching, we are clear that while religious organizations, particularly congregations, may often be different than other nonprofits, they are not unique. What affects the third sector broadly, most often affects religious nonprofit as well. In the last several months, new proposals by President Trump have the potential to impact not only the identity and work of religious nonprofits but also the motivations and incentives of individuals making charitable donations. Several months ago, President Trump threatened to repeal the Johnson Amendment with the intent of allowing congregations to engage explicitly in political activity and endorsing candidates. Since 1957, the Johnson Amendment has prohibited nonprofits registered as charities from engaging directly in political campaigns. While perhaps the amendment could be tweaked to ensure the wide latitude congregations already receive from the IRS enabling them to express their religious and moral values, few experts or practitioners wish for the Amendment to be repealed, and only a small minority of Americans are asking their congregations to engage in more political rhetoric. As constitutional law expert Douglas Laycock argues, there are ways to ensure freedom of religion and speech within congregations and nonprofits without making congregations into new political-action committees. If repealing the Johnson Amendment is one hot topic defining the role of religious nonprofits in the public sphere, new tax reform proposals may play a significant role from the other side of philanthropy - shaping the charitable giving of individuals. In a recent study produced by our Indiana University Lilly Family School of Philanthropy and commissioned by Independent Sector, we analyzed how 1) raising the standard deduction and 2) decreasing the top marginal tax rate (the two key pieces of Trump’s proposal) would affect charitable giving in the United States. Overall, the effect would be a significant drop in charitable giving (a decrease between $4.9 and $13.1 billion). This drop translates into a loss of between 1.7 percent and 4.6 percent of annual charitable giving. In economic shorthand, while scholars debate the tax price elasticity of giving (how much tax regulations matters as a factor in how much someone gives), most all agree that the charitable tax deduction does incentivize people to give and give more. Raising the standard deduction and lowering the taxes paid by the wealthiest Americans, disincentivizes charitable giving. The other variable our study tested was the effect of expanding the charitable deduction to everyone. At present, the charitable deduction only applies to itemizers, and over the last decade, itemizers made up only between 30 percent to 36 percent of the population. Philanthropic research has continued to demonstrate that 1) high income taxpayers are most likely to itemize and 2) itemizers are much more likely to donate (83 percent of itemizers reported making a charitable donation compared to only 44 percent of non-itemizers). Yet, when you universalize the charitable donation for all taxpayers, the Lilly Family School of Philanthropy estimates that giving grows across all income levels and total giving increases by between 1.3 and 4.3 percent. At the same time, there is very little negative impact on overall tax revenue (less than 0.5 percent). Taken together, expanding the charitable deduction makes up for the charitable giving lost by the other tax reform proposals such as raising the standard deduction. However, in all cases, tax revenues to the government decrease. While this is another question in which people of faith and religious nonprofits are invested, we do not have space here to address what mix of government, business, and third sector activities can best provide necessary and effective social services as well as a vibrant and engaged civil society. Beyond these statistical projections, we must return to our opening question – how does this affect religious giving? First, our research points to the fact that religious giving is less elastic than secular giving - meaning that variables such as tax incentives or the growth and loss of income make less of a difference for giving to religious causes. Perhaps it is the added motivations from the beliefs and practices of our religious traditions that make religious giving less volatile. Yet, we do know that we are all comprised of a complex combination of motivations, and the opportunity to claim tax deductions for charitable contributions is a significant factor for religious giving as well. In addition, like most organizations, religious congregations are often quite dependent on a handful of major donors, and even as regular and ritualistic giving remains essential, congregations and other nonprofits cannot afford to miss the opportunity to benefit from individuals’ generosity through more timely and technical gifts often necessitated by tax itemizers’ desire to lower their taxable income (such as donating stocks and bonds, insurance policies, or gains from the sale of a company). While few of us can be experts in all of these financial instruments, we must communicate that our organizations are equipped to receive these gifts and that we know who we might call for the necessary support. If we do isolate giving to religion, does it behave any differently than secular giving? The Lilly Family School of Philanthropy’s study projects that increasing the standard deduction and decreasing the top marginal tax rate would lead to a 4.7 percent decrease in giving to religion (slightly higher than the 4.4 percent decrease for secular charities). For all charitable giving, giving levels most often correlate with income levels. Religious giving may be less dependent on tax policy than secular giving, but it remains a highly significant factor. Religious organizations still remain by far the largest recipient of American philanthropy and religiosity remains a chief motivation for giving. To reiterate, religious organizations are different than other nonprofits, but they are not unique. They also cannot avoid separating themselves from the larger nonprofit sector and the questions that drive the field. If we put on blinders, we isolate ourselves from engaging the very issues we seek to address. If we open ourselves to the best research and practice, religious nonprofits will continue to remain a leader and innovator throughout the American philanthropic landscape. Receive more of this kind of latest research and practice at the Leadership Roundtable on June 22-23 in Indianapolis. 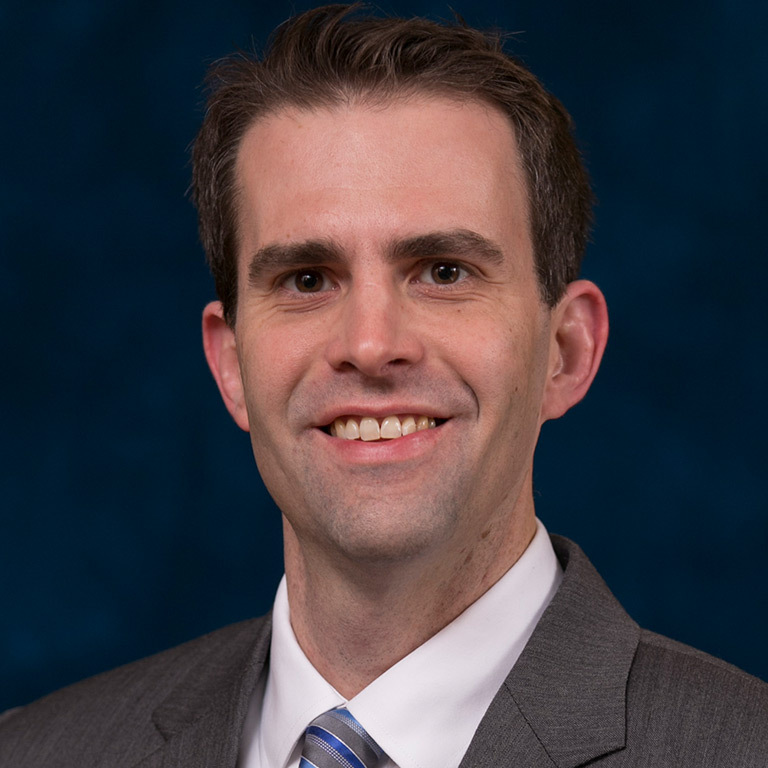 Dr. David King will speak on the topic of religion and fundraising, informing you on how to develop relationships with people of religious faith when fundraising. Other presenters include Dr. Una Osili, Dr. Patrick Rooney, and Dr. Tyrone Freeman. 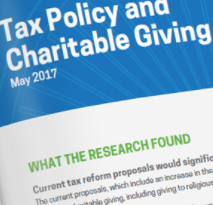 This study answers questions including "How do the proposed tax policy changes affect taxpayers’ charitable giving across income levels and by charitable subsector (religious versus non-religious)?"